As a young family this lives up to everything we would have expected.Both my husband & I wanted to get out of central London because of our new baby, but this affords him the ability to commute into town without having to be gone for all hours. The zip car allowance is fantastic as he often uses our car for work, so means I can get around to see friends & my parents easily with the little one. Â That the fridge freezer was quite small & we should have kept our old one as a spare. We viewed a 3 bedroom townhouse that has a lovely terrace overlooking Ravenscourt Park. The open plan kitchen & dining area is just such a great family space. The concierge service is such a luxury and the transport connections are fantastic – a very short walk to ravenscourt park tube on the district line with good access into central/city as well as good bus routes to hammersmith etc. The go green travel incentives also are appealing to us as family with zip car membership and money towards a bike – though I doube we would ever take this up! The proximity to such great schools including the Godolphin and Latymer, St Paul’s provides us with a fantastic, if pricey decision to make in a few years. 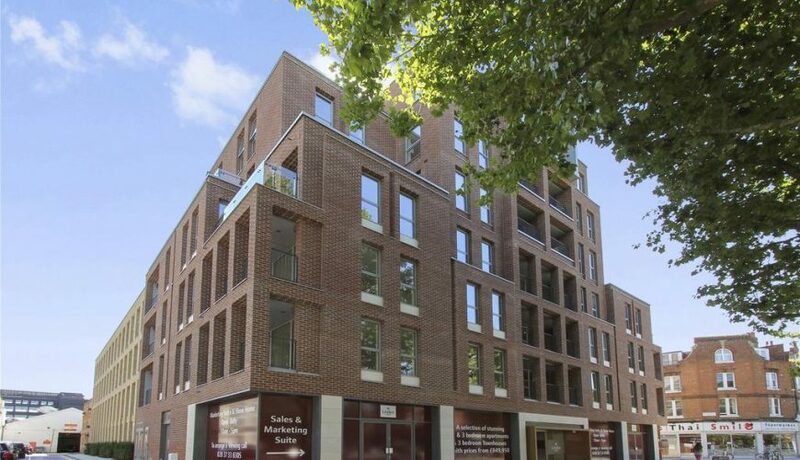 Kings Row is a really good development on Kings Road next to Ravenscourt Park in Hammersmith, London W6. Linden Homes, have included some great features in the studios 1, 2 and 3 bedroom apartments as well as the duplexes with 3 bedroom townhouses. 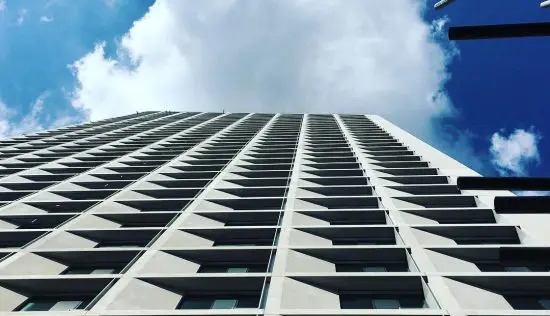 Residents of Kings Row benefit from a bespoke concierge service and excellent transport connections. The 2 bedroom duplex properties come with an open plan kitchen and dining area that leads out onto a private courtyard garden. A great sized balcony improves the master bedroom along with an en suite bathroom. In the nearby Ravenscourt Park there are tennis, basketball and netball courts, a paddling pool, tea house and garden centre. A great feature is the Go Green scheme which means residents benefit from a three year Oyster Card; a two year Zipcar membership and GBP500 towards a new bike. 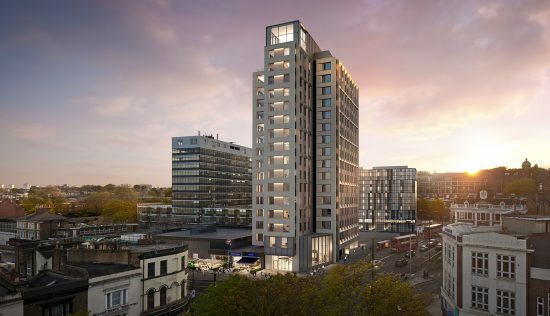 Situated on Kings Road, next to Ravenscourt Park in Hammersmith, Kings Row is a new development containing studios to three bedroom apartments, duplexes and townhouses. Developed by Linden Homes and designed by award winning Lifschutz Davidson Sandilands architects, there are 55 units in all particularly well suited to families who will be drawn to the village esque feel of the neighbourhood, and first time buyers and young professionals looking to invest in a popular zone 2 area of the capital. Prices start from a reasonable GBP485,000, with a price per square foot of around GBP964, which is slightly below the average for W6. In terms of location, the nearest tube station is Ravenscourt Park, which is a 4 minute walk away. Shepherds Bush and Kensington Olympia mainline services are both a mile away. Some may feel Ravenscourt Park is a little out on a limb, whilst some may appreciate the 30 minute tube ride to the City. Another transport option is Hammersmith station when you can pick up the Hammersmith and City, District and Piccadilly lines its a 10 minute walk away. For drivers, Kings Row is incredibly well connected, being on the doorstep of the A4, M4 and M25. The area is rich in culture, music and nightlife, with the Hammersmith Apollo, Shepherds Bush Empire, and the shops, bars and restaurants of Chiswick and Hammersmith close by. Green space comes in the form of the tree lined Ravenscourt Park, a big draw for families with its 13 hectares of lawns, wildlife inhabitants, lake, sports facilities, paddling pool, teahouse and garden centre. There are also plenty of excellent schools within proximity, including the Godolphin and Latymer. 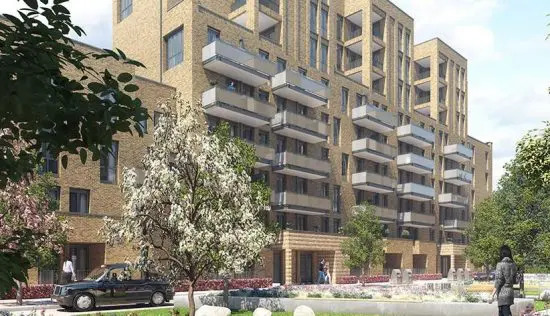 One of the key incentives to buy at Kings Row, is their Go Green initiative, which offers residents a three year Oyster card, two year Zipcar membership and GBP500 towards a new bike (on selected properties), which is a decent amount of savings. There is also a 12 hour daytime concierge coupled with nighttime security on hand, and a secure video entry system. Whats more, there are 80 cycle spaces for residents use and storage lockers available at an additional cost. Inside, the apartments are very much a blank canvas for buyers, with minimal decoration and magnolia coloured walls. There are New York individually designed kitchens by Symphony, with stone worktops and integrated appliances, including an electric oven, dishwasher and fridge freezer. Double glazed aluminium windows will help block out any nearby road noise from the A4, and underfloor heating will be valued during the colder months. All of the apartments have a terrace or balcony, with many boasting park views. 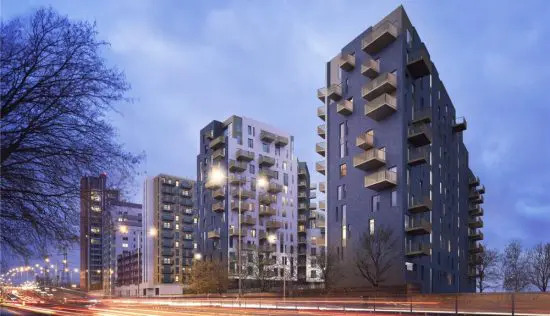 Other developments in the area to consider are Fulham Reach and Queen’s Wharf, both with additional amenities for residents to enjoy and a riverside location. 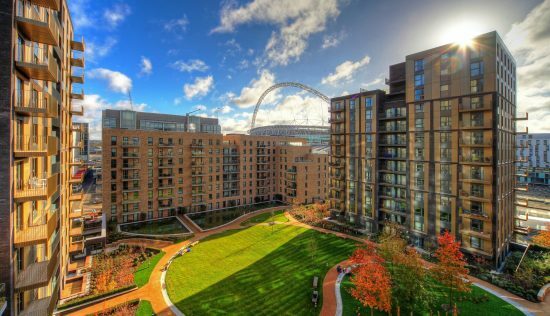 Kings Row development get top reviews from me! Superb access to Ravenscourt park and the amenities of Kings Road. Perfect for a family with good access to the central london and the city and also the huge park with play area etc. Located at the quieter end of Kings Road with lovely coffee shops and restaurants right on the door step. Kings Row from Linden Homes mixes character with modern features perfectly- the brick walls really topping it for me. And to be able to get a new two bed / two floor property with balcony and courtyard for under 750k the price is also very reasonable. The apartments have a homely feel with the two floors, outside space and open plan kitchen dining living area. The property is slightly set back from the main road making it safe for children. It doesn’t surprise me a lot of these have sold already. Compared to other properties for this price in the area this is a fantastic buy.